Transform your Thanksgiving (or Christmas!) leftovers into Thanksgiving Leftovers Eggs Benedict. It's a healthy, delicious, and easy to make brunch recipe perfect for the day after the big feast! If you're trying to figure out how to make breakfast with Thanksgiving leftovers, this is the recipe you're looking for. 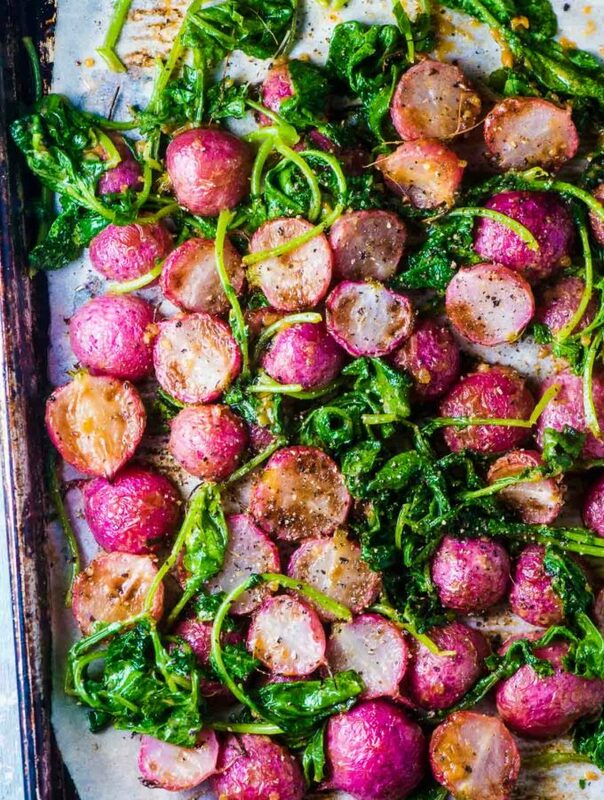 It's a super easy and delicious way to clear out your fridge without making you feel like all you're eating is your Thanksgiving leftovers for breakfast. And since you've already cooked everything but the eggs, this is one eggs benedict recipe you can definitely call easy. After the big feast, I'm always looking for new Thanksgiving leftover ideas. Turkey soup is a must (by morning there's a crockpot full of the best turkey stock sitting on my counter), and I always save enough turkey for at least one sandwich. This year we decided to switch things up a little and make Thanksgiving leftover breakfast. Plain old turkey and eggs didn't seem like such a bad idea, but turkey eggs benedict sounded much better. It was better than better. It was amazing. Even though it was essentially everything we had eaten only a few hours before, adding the egg and arugula made it feel (and taste!) new. 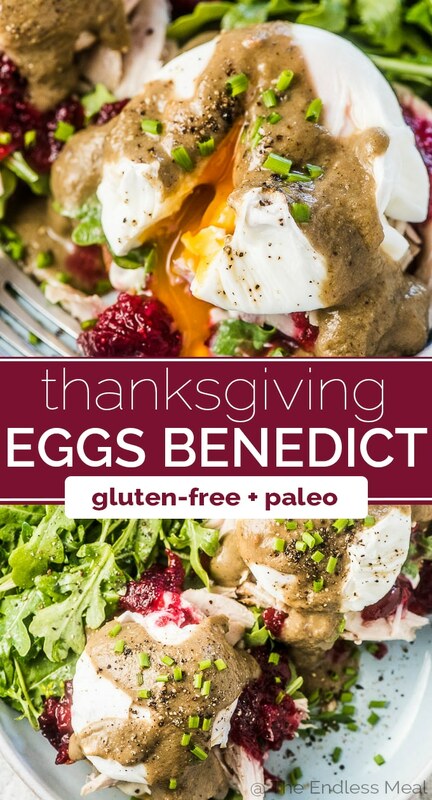 This Thanksgiving eggs benedict is less of a recipe and more of an idea. 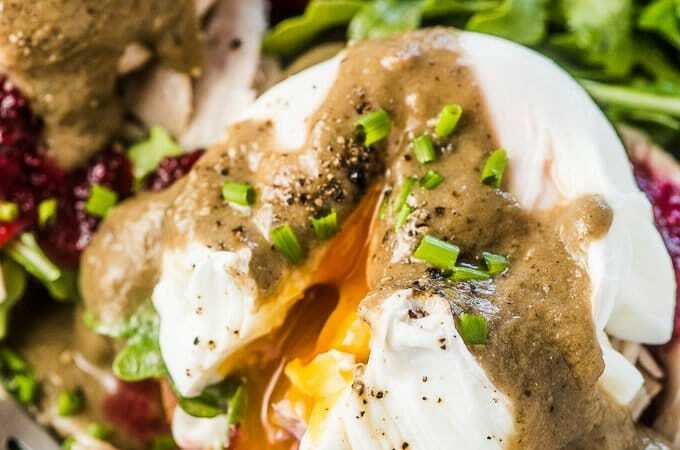 Pile your leftovers on a plate then top with a poached egg and gravy. 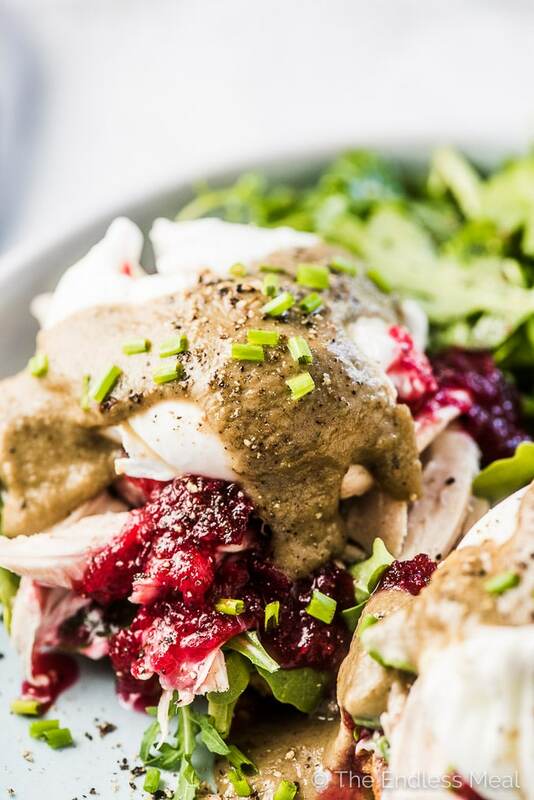 It proves that a Thanksgiving leftovers breakfast does not need to be boring! Bring a large pot of water (half full) to a simmer. Crack the eggs into the water and let them cook for 4 minutes. Remove them with a slotted spoon. While the water is warming, melt the butter in a medium-sized pan over medium-high heat. Place the dinner rolls in the pan, cut side down, and toast for 3-4 minutes. 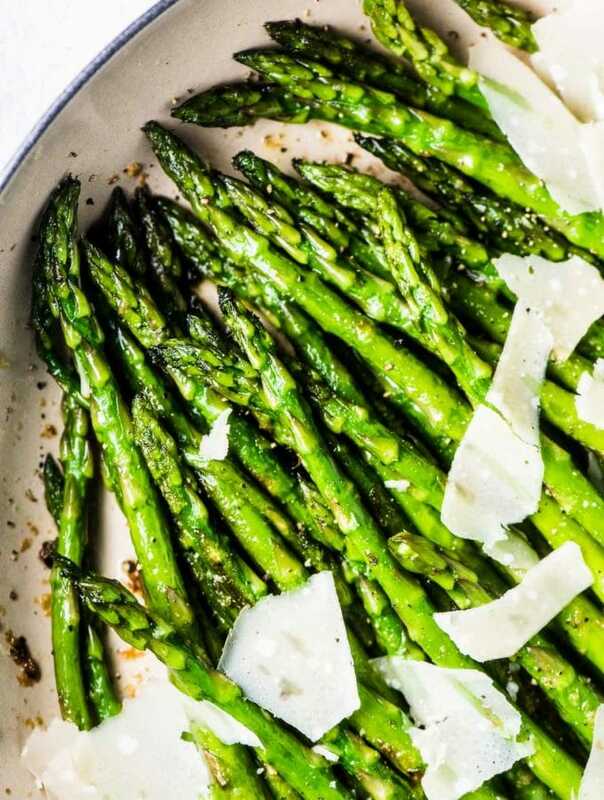 Remove them from the pan and put 2 halves on each plate. Add the turkey to the pan and gently warm. 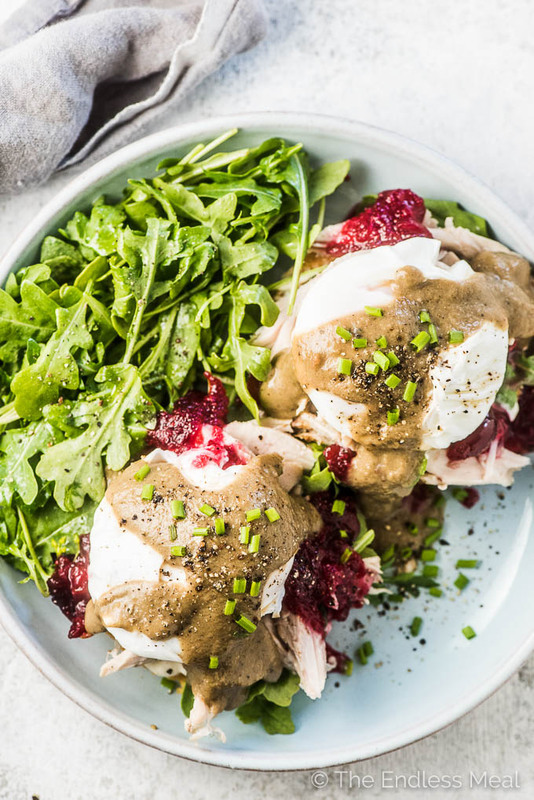 Top the toasted dinner rolls with some arugula, the warmed turkey, and the cranberry sauce. Plate the eggs when they are cooked, pour the gravy over the top, then sprinkle with some green onions and black pepper. 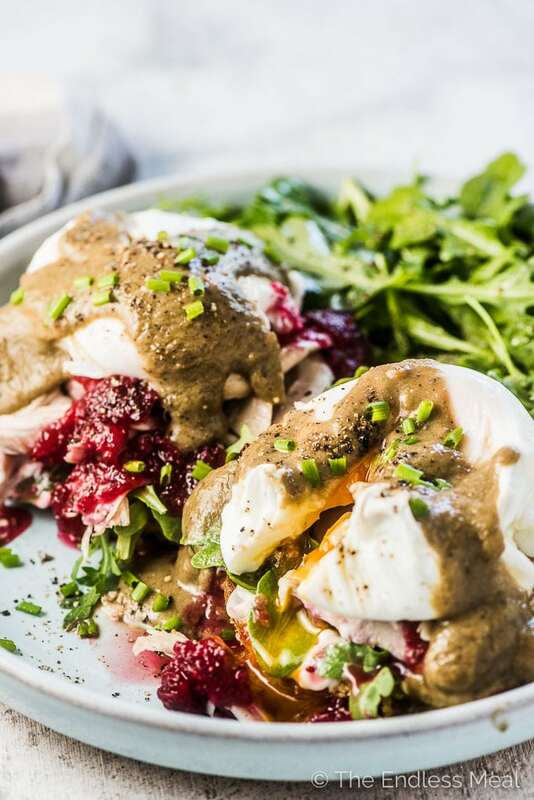 This eggs benedict is very flexible and more of a concept than a recipe. 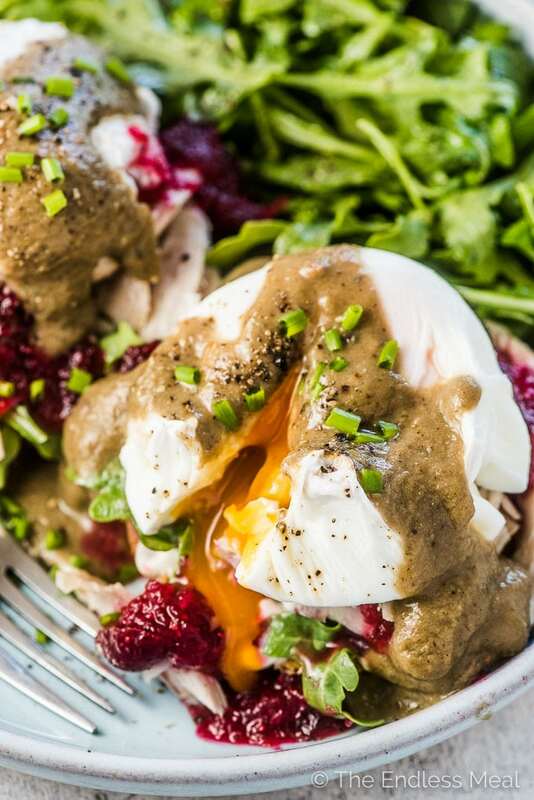 Gather your leftover, pile them on top of a toasted bun, pop a poached egg on top, and pour some gravy over top. The quantities listed are only suggestions. Use what you have and as much or little of each as you like. 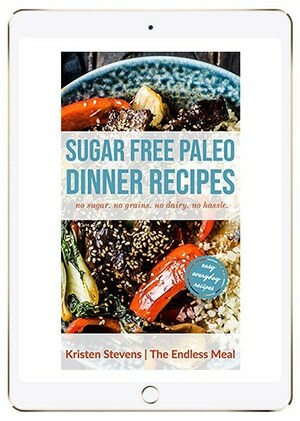 The nutritional information has not been added to this recipe as there are too many variations in how the originals are made to be accurate.